We love a dollar store makeover. So when we found a nicely shaped vase at the dollar store, we got it. We were inspired by a Franz Collection vase we saw at a gift shop. 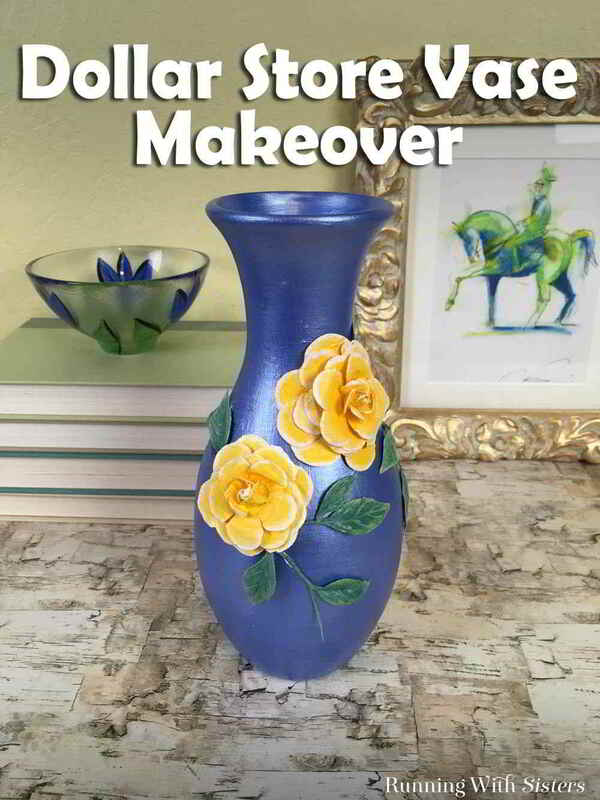 To make a knock-off, we painted silk flowers and added them to the vase. Here’s how we did it! 1. Prime the vase with the spray-paint primer and let dry. Be sure to prime the inside lip of the vase, too. 2. Mix pearl Cornflower paint with Mother of Pearl paint 2 to 1. 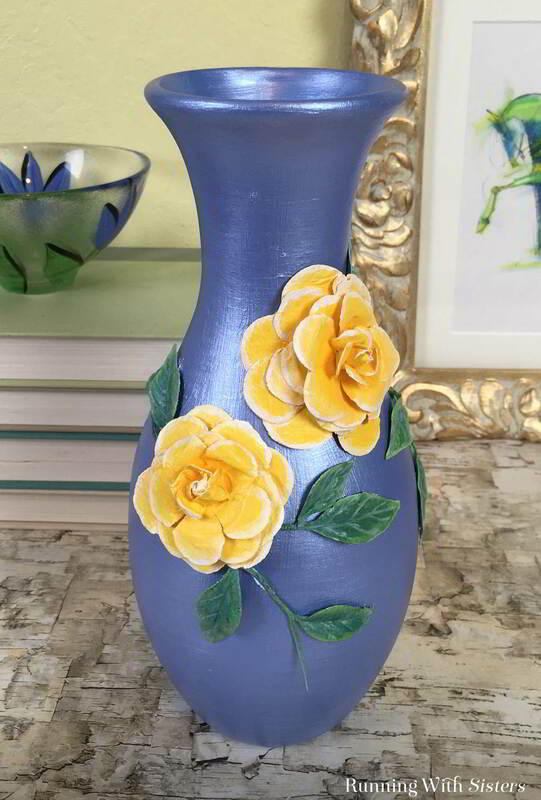 Paint the entire vase, including the inside lip, and let dry. Repeat to apply a second and third coat as needed. 3. Paint the petals of the paper flowers with the Yellowjacket and Pollen paints so the yellows blend from dark to light. Tint some Wedding Cake paint with Yellowjacket and paint the tips of the petals. Use the paintbrush to blend the tip color with the petal color. 4. Cut five sprigs of leaves with the wire snips. Paint the leaves and stems with a mix of Scottish Highlands and Mermaid Teal so the leaves are lighter around the edges. 5. Glue the roses to the front of the vase with one slightly higher than the other. Glue the leaves to the vase, tucking the tips of the stems under the roses. Hold the leaves and stems in place until the glue starts to set up.